My first MAC lipstick, Rihanna Viva Glam, proved to be a successful trial and this lipstick has now become one of the must-have items in my everyday makeup kit. And it has triggered a strong desire for me to keep exploring lip colors! 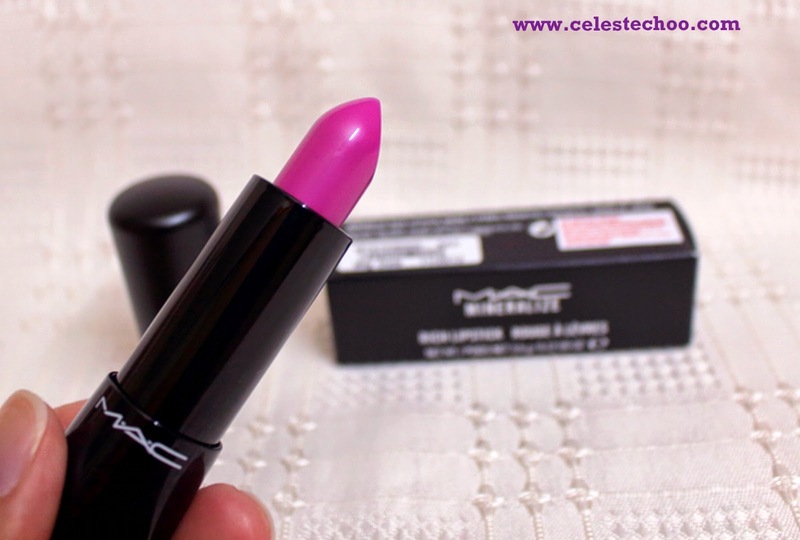 I was looking for a color that has strong pink tone and MAC’s beauty advisor recommended this one to me. 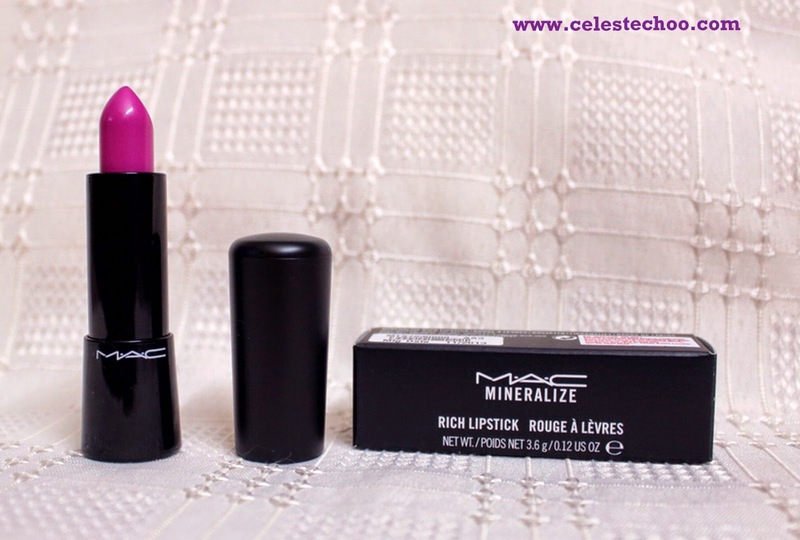 I haven’t seen this one before and the MAC girl told me it’s a new collection --- Mineralize Rich Lipstick. The color I picked (or recommended to me) was Bold Spring. This shade, as the color name implies, has a bold pink color that oozes with freshness, like a fresh flower in full bloom. 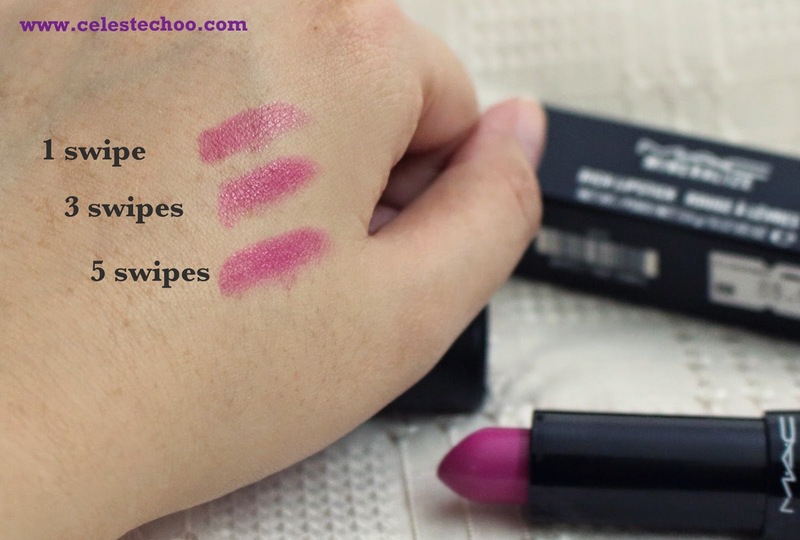 It comes in a tube that’s different from the basic bullet-like MAC lipstick. An interesting character of this tube is it’s magnetic closure instead of the click clasp of traditional lip tubes. I love the contrast of shiny black base against the matte black cap. 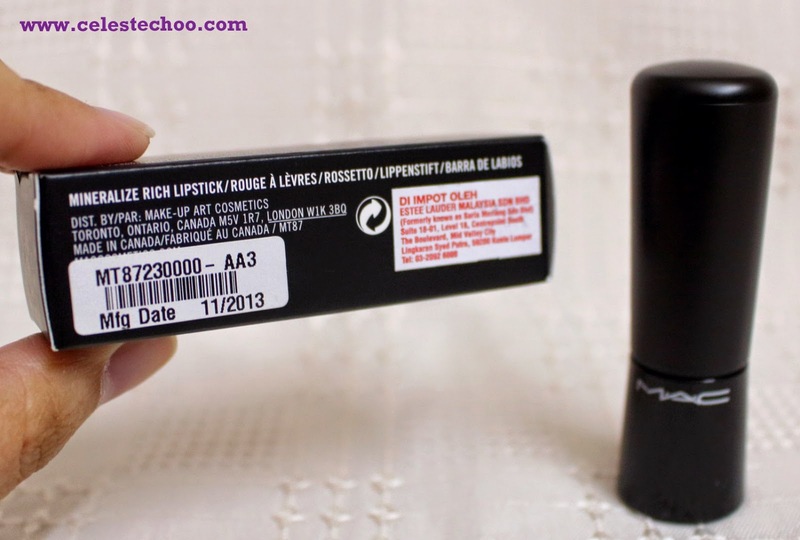 The box follows the normal MAC lipstick box of plain black with white text. Price is higher than the standard lipstick. 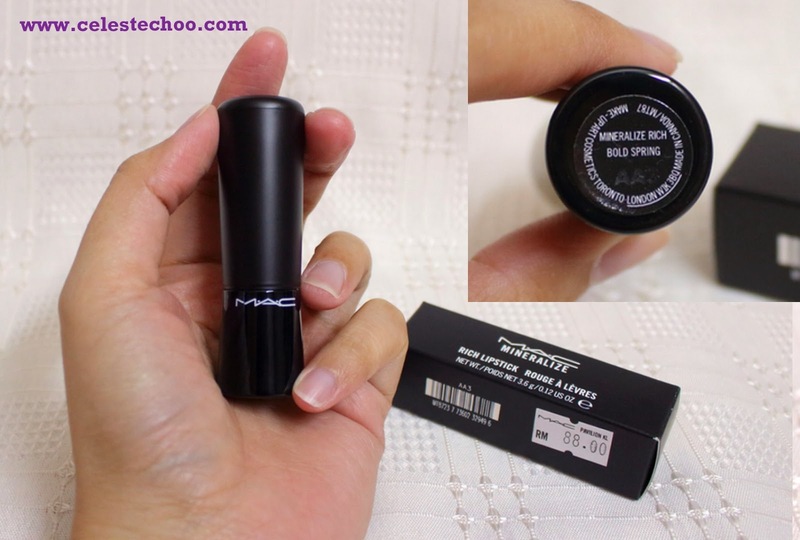 This MAC Mineralize Rich Lipstick is at RM88 for 0.12 oz (vs RM68 basic MAC lipstick). Here’s a look at 1-3-5 swipes against my skin. The color is not as buildable as my MAC Rihanna Viva Glam Red but 3 swipes will be good enough to have that bold pink effect on my lips. The texture is great; I love how it glides on the lips plus it has hydrating/ moisturizing benefits, too. The color is simply glam but sweet. I love how I feel when wearing this --- like a sweet lady in fresh bloom. Really loving my MAC lipsticks. 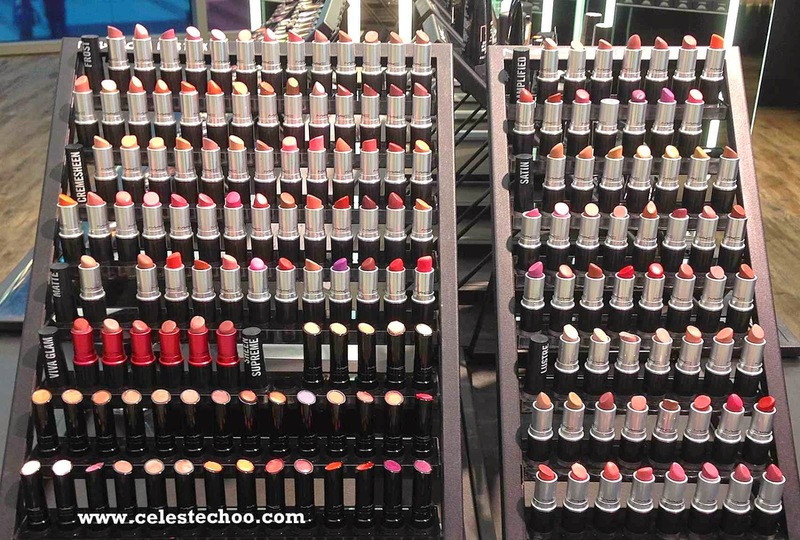 Hmmm, wouldn’t it be nice to collect more from MAC lipstick palettes? Look at all those colors! Better save up for more of these! 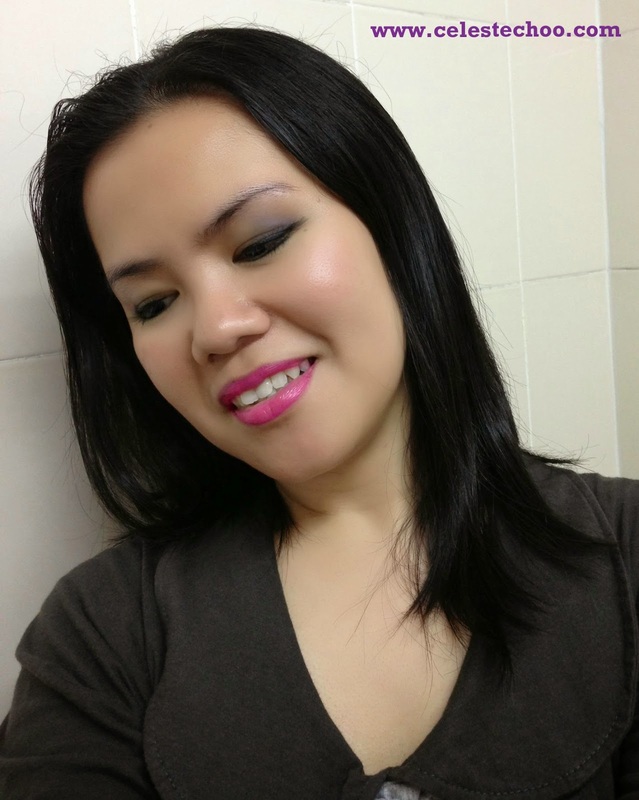 To see my product review on MAC Viva Glam Rihanna lipstick, click HERE. Visit http://www.maccosmetics.com.my to see more collections and to shop online.